The world is now at the dawn of fourth industrial revolution or better known as Industry 4.0 – the transition from computerized systems to cyber-physical systems, enabled by technologies like the Internet of Things, Cloud computing and Artificial Intelligence. In the strictest sense, Industry 4.0 is the integration of new technologies into the current industrial processes, essentially creating intelligent networks, wherein intelligent machine-to-machine interactions become the norm. For instance, machines in the assembly line can be made intelligent enough to monitor and predict failures that can in turn autonomously trigger maintenance procedures. This refers to the capability of machines, sensors, devices and people to communicate and share information. Information transparency is defined as the capability of systems to aggregate data obtained from the physical world into a virtual copy. Technical assistance refers to a system’s ability to assist humans in solving problems and in making decisions, while also being able to physically assist humans in certain tasks. Decentralized decisions refer to a system’s ability to take its own decisions, essentially, employing AI to perform the task with minimal human interference. However, there are various challenges involved in the transition to Industry 4.0; such as ensuring data security and a high degree of reliability in cyber-physical systems, avoiding loss of jobs due to automation etc. Besides, in order to improve the availability of machines by preventing downtimes, maintenance services become of prime importance in the manufacturing sector. Therefore, changing to Industry 4.0 also means that an upgrade in the existing maintenance operations is a necessity. As it is time-based, therefore requires maintenance to be scheduled at regular periods of time, it particularly inflates the cost incurred, if maintenance is done prematurely. With regular maintenance, entities need to invest in more spare parts. This can again inflate cost if maintenance is not properly planned. Although PM can largely avoid unanticipated downtimes due to regular maintenance, in the event of an unexpected downtime, it becomes a drain on time as well as resources. PM is often performed on equipment that is in fully working condition, causing unnecessary downtime in attending to the equipment, and investing unneeded labor. Besides, due to PM being labor intensive, maintenance staff needs to be trained on a regular basis as well, which is costly and highly inconvenient considering that manufacturers strive for maximum resource productivity. 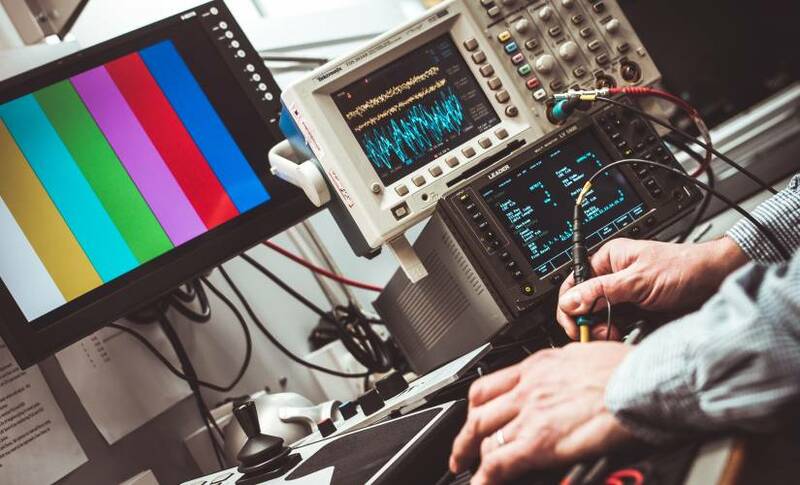 Manufacturers are increasingly implementing Industry 4.0 technologies to make their operations smart, and Condition Monitoring is emerging as a disruptive solution to proactive, cost-efficient, and timely maintenance. Condition Monitoring is a component of Predictive Maintenance. As suggestive of its name, Predictive Maintenance, unlike Preventive Maintenance, relies on the condition of a machine rather than a schedule that is set at regular intervals. Condition Monitoring refers to monitoring certain parameters of a machine to identify the development of any fault at early stages. For instance, currently with the Preventive Maintenance strategy, a vehicle is required to be serviced once it has travelled a certain distance, say 15,000 kilometers; this is done regardless of the vehicle’s condition, which sometimes may be unnecessary. On the contrary, with Condition Monitoring, vehicle servicing may be done at 12,000 kilometers or 20,000 kilometers, depending solely on its condition, which therefore brings many added advantages. The rise of Industry 4.0 technology provides the opportunity for dramatically increasing the reliability and efficiency in production operations. Condition Monitoring solutions, from the likes of Microsoft, Seebo and IBM promise to ease the transition to industry 4.0. To bring clarity regarding the way Condition Monitoring helps, a brief overview of how a paper mill in Germany utilizes the strategy to bring it a step closer to Industry 4.0 would prove helpful. Mitsubishi HiTec Paper Europe produces thermographic papers, that are coated using modern methods at its factory units in Germany. Their challenge was to maintain large high-speed fans used for drying the coating, from causing imbalance due to its mass and ultimately resulting in plant shut down. To solve this, a solution that comprised of systems that could continuously monitor vibrations from the fans was devised. On employing a Condition Monitoring maintenance strategy, they were able to identify gradually developing faults such as irregularities in flotation dryers. This early identification enabled them to schedule maintenance quickly and they were able to plan downtimes needed for servicing, ultimately increasing machine availability and reducing overall operating costs. There are many other advantages besides these when considering Industry 4.0, the major one being that it paves the way for easier adoption of smart solutions. While a good majority of industries are still caught up between the traditional assembly line and small-scale implementation of automated processes, transition to Industry 4.0 becomes a great challenge. However, to catch up with the fiercely competitive markets, industries need to look for solutions that can make their transition to 4.0 quick, without affecting their performance. Condition Monitoring is one such solution that can ease this transition and pave the way for the adoption of Industry 4.0.